Ting (centre) with Sebastian (left) and Chai. She received her MyKad two weeks ago. MIRI: Ting Fong Lee’s long wait is finally over – she has been granted citizenship after more than 42 years. Ting, 43, was overjoyed when her application was approved in August last year. Born to a Malaysian father and a Bruneian mother, Ting says the first thing she wants to do is travel. 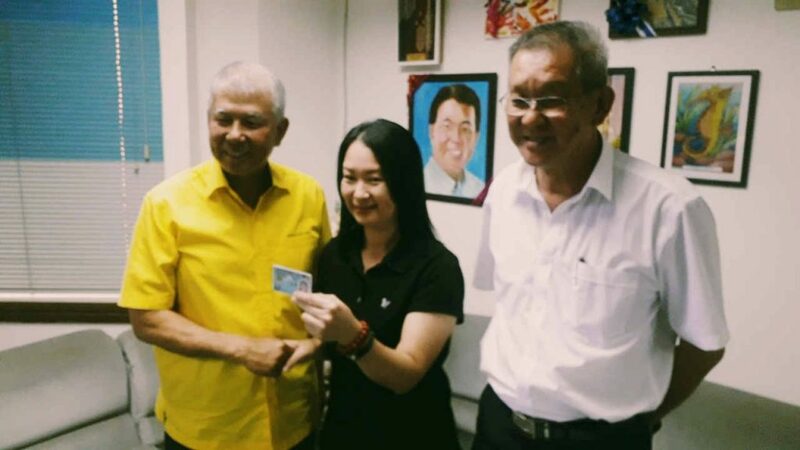 “I want to do my passport so that I can plan my first (holiday) destination,” a teary Ting said at the Piasau Sarawak United People’s Party (SUPP) office here yesterday. Her father, she explained, worked in Brunei before the family moved back to Miri when she was a year old. She said her two younger siblings are Malaysian because they were born after the family moved here. After countless attempts, Ting, who is a Permanent Residency (PR) card holder, finally had her application approved on Aug 14 last year. She received her MyKad two weeks ago. Meanwhile, Sebastian said Ting’s case was among the hundreds that Piasau SUPP received in the past year. Also present was Kapitan Chai Soon Thin. Long wait over as woman finally gets MyKad 0 out of 5 based on 0 ratings. 0 user reviews.